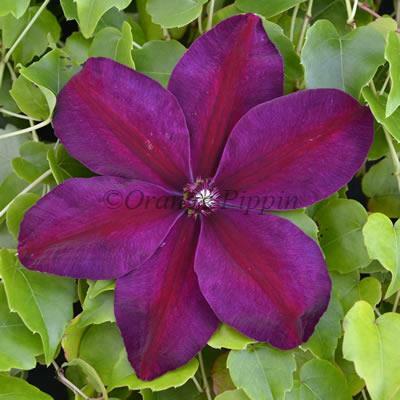 Clematis 'Westerplatte' is a 'real red' variety with it's simply superb, deep wine-red flowers. The flowers have rounded petals which curve back slightly, given a full appearance to each one with dark red, tipped white centres and can measure up to 6" across. This non-evergreen climber can be grown up a trellis, pergola, along a fence, wall, up through a large shrub within the flower border or planted in a container and placed on the patio to create a beautiful talking point. Clematis 'Westerplatte' was raised by Brother Stefan Franczak of Warsaw, Poland. It was named after the peninsula that protects the port of Gdansk.